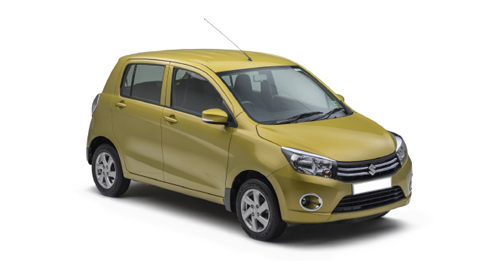 The Maruti Celerio is not only the cheapest diesel hatch, but also the most fuel-efficient. We find out if the affordable price tag equates to a good buy. Hatchbacks have come a long way from being an affordable option to a practical choice. Nowadays, with long commutes forcing us to spend more time on the road than we would like to – thanks to long distances and heavy traffic – opting for a diesel powered car makes sense as it’s a pocket friendly choice. Fortunately, car manufacturers have dared to push the envelope and ensure that price conscious customers get to choose their car based on which suits their requirements better rather than which produces the most achievable EMI. It all started with Chevrolet changing the compact car space by introducing the Beat, which was the cheapest diesel hatchback in the market at the time. Hyundai later launched the Grand i10 diesel, which was more focused on contemporary looks and numerous features. The country’s number one car manufacturer, Maruti Suzuki, on the other hand, was quietly working on a two-cylinder diesel powerplant – and after four years of hard work, and an investment of over Rs. 900 crores, this all-new indigenous engine made its debut in the car that you see here. Of course, we took it for a spin and find out how the 793cc motor fares. Fire up the DDiS engine, and the unrefined sound gives you a rude shock. In my colleague’s words, “It sounds like the engine is about to die.” But before you start to write it off, this is just an initial hitch. Once the car is on the move, and the rpm needle crosses the 1,500rpm mark, the engine noise reduces drastically. On paper, the Celerio may look a little underpowered with only 47bhp, but as it weighs only 900kgs – apart from the niggling initial lag – it actually accelerates quite well. The Celerio is happiest when it’s driven between 2,000-3,000rpm. If push comes to shove and you need to overtake, we suggest you down shift and only then go for the kill. What surprised us, though, was that the punch doesn’t fizzle away immediately. The Celerio can comfortably cruise at three-digit speeds – and remain comfortable at the same time as well. The diesel Celerio weighs 70kgs more than the petrol version. And so the suspension has been tuned to accommodate the heavier diesel heart. But, on the whole, the ride and handling doesn’t feel too different from the petrol variant. And so it continues to cushion most of the potholes and ditches in the road. Frankly, it remains quite comfortable to drive. Throw the car into corners and the tyres provide decent grip, though you may hear them shriek. What will make you check yourself is the body roll, though, which becomes quite evident. Nevertheless, the Celerio is an ideal car for the daily commute, as the light steering wheel, equally light clutch pedal and smooth manual transmission make it a stress-free drive. The 4.7-metre turning radius lets you take tight turns without a problem. The boxy design might not win awards, but it definitely ensures good visibility and plenty of leg and headroom – especially for rear seat passengers. Maruti Suzuki claims it’s the most fuel-efficient diesel car in the country, with a mileage of 27.62km/l as per ARAI. Therefore, the Celerio should return at least 20km/l in real world driving conditions and reduce your trips to the fuel station in the process. In terms of refinement, the 793cc engine scores poorly – but this can be overlooked since it keeps a close eye on your wallet. Another feather in its cap is that the Celerio is Rs. 50,000 to Rs. 1 lakh cheaper than its closest rivals, the Beat and Grand i10. So, if you’re in the market for a no-frills, practical, yet affordable diesel hatchback, then look no further.